Daro continue to be the UK’s leading name specialising in quality cane and rattan furniture for the home and all weather outdoor furniture for the garden. 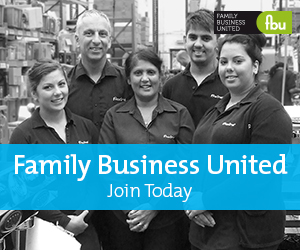 Founded back in 1974 this family firm continues to thrive. Paul Andrews visited them and spoke to Managing Director James Brown to find out more. The start of the Daro journey began with a leap of faith and an opportunity, something that the founder grabbed with both hands and now Daro is the UK’s leading name in their sector, a significant difference to the business that was founded selling sponges and other small wicker like products at the local markets by the father of the current MD James. For many, this would have been a significant blow but as one door closed, another opened. James turned to education and spent four years at university studying business and French, a dual degree that enabled him to spend a year in France where he managed to play rugby for La Rochelle during the time abroad. As James adds, “This was a great time for me as I not only played the sport I loved but became fluent in French as a result of the sport too. I returned to the UK for my final year and then graduated getting a job with Proctor & Gamble. I enjoyed the role and was promoted, became a team leader and then there were lots of changes and I became frustrated. My accounting stood me in good stead and I left to take up a role that had become available at Daro, the plan being to work to help with the growth that had happened due to the availability of credit." Like many family firms there is a story behind the name. As the business started and grew, David, James’s father dragged in his Brother in Law, Roger, merged their names and DARO was born. Today, the business has grown to 45 staff and a sizeable turnover with core values of Trustworthy, Happy and Genuine at the core of the business. Like other sectors, there is a lot of challenge and disruption in the market place and Daro is having to respond to the challenges. Lifestyle changes, outdoor living, prevailing economic challenges, the internet and the weather all present the business with constant need to evaluate and evolve. Daro are also able to add differentiation through their customisation of their products, the soft furnishings and the fabrics that the furniture can be supplied in, and also have the national account for Laura Ashley that adds further innovative fabrics and products to the product portfolio. The family business is also supported by a great team of designers who look to introduce new pieces that help to make the business current and on trend, responding to the demands of an ever changing market place. Today the company continues to grow and flourish, driven by their position as market leaders but also a desire and commitment to the development of their furniture products, soft furnishings and cushions.